Yes, it's true! Another new comic from Dan Zettwoch! 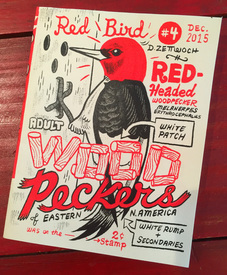 Redbird #4 is a self-described objet d'art. The entire book has hand pulled screen printing -- in red, naturellement! 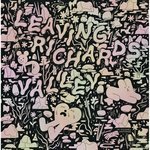 -- over a laser-printed black line background, this 8-page mini-comics is an ode the "Adult Woodpeckers of Eastern North America" that stands to be equally appreciated by Zettwoch fans and bird watchers alike, but will be a special treat to those long suffering fans of Zettwoch's Cut-Away Comics.